About the Book: Alice was born in the magical world of Ferenwood but doesn't have any magic herself. In a land where color is magic, Alice is the lightest of all and doesn't fit in. The only person who ever made her feel special was Father-but he disappeared three years ago leaving Alice with her uncaring Mother and her three brothers. 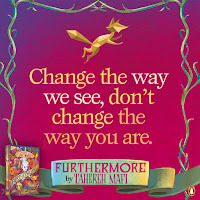 When Oliver Newbanks, an old nemesis, tells Alice that he needs help completing his task (the magical undertaking all children of Ferenwood must complete) and that he knows where Father is and can bring him home, Alice is faced with a tough choice. Oliver's magic lies in deciet and Alice is never sure if she can trust him but she wants Father home more than anything. The journey will be dangerous and take her into the odd land of Futhermore where nothing is as it seems and time must not be wasted. In a world filled with strange creatures and rules. Alice must find herself and her magic to bring Father home. 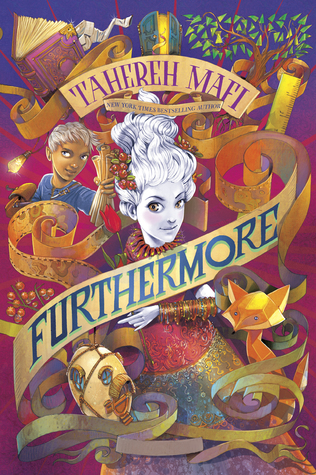 GreenBeanTeenQueen Says: There's been a trend lately in middle grade fantasy with more books appearing for this age group that are quirky, magical, Alice in Wonderland-types. Futhermore firmly fits into that category. With a magical land that never quite makes sense, things are measured in time, twisting rules that you, numerous villages with various quirks and citizens who want to eat up visitors for their magic, Furthermore is quite a twisty read. Alice's story is a fine one for readers who enjoy this type of twisting and somewhat confusing and creative fantasy. But I can also see more sophisticated readers getting frustrated as well. The author can easily get characters out of various escapades by adding some new revelation. There are multiple asides from the author/narrator as well, but these don't always work and instead some of the humor that is supposed to be there falls a bit flat. The narrator interjections are inconsistent. It also takes a long time for more explanations of the world building, but once you get there I thought it was well done if a bit convenient at times. Alice's story takes awhile to get going and once we get to her adventures in Furthermore, the story is fun and there are lots of unique adventures that Alice and Oliver have. But I was very let down by the ending which felt too quickly wrapped up. It felt like we went through a lot of meandering and adventure only to have it solved in an instant. It was as though someone said "hey, this book is getting too long-wrap it up now and stop writing!" It felt too abrupt and too clean an ending and answer for such an epic adventure. After multiple chapters and pages of a journey, everything was wrapped up in about twenty pages, so I was left with little closure and this was a bit of a let down. 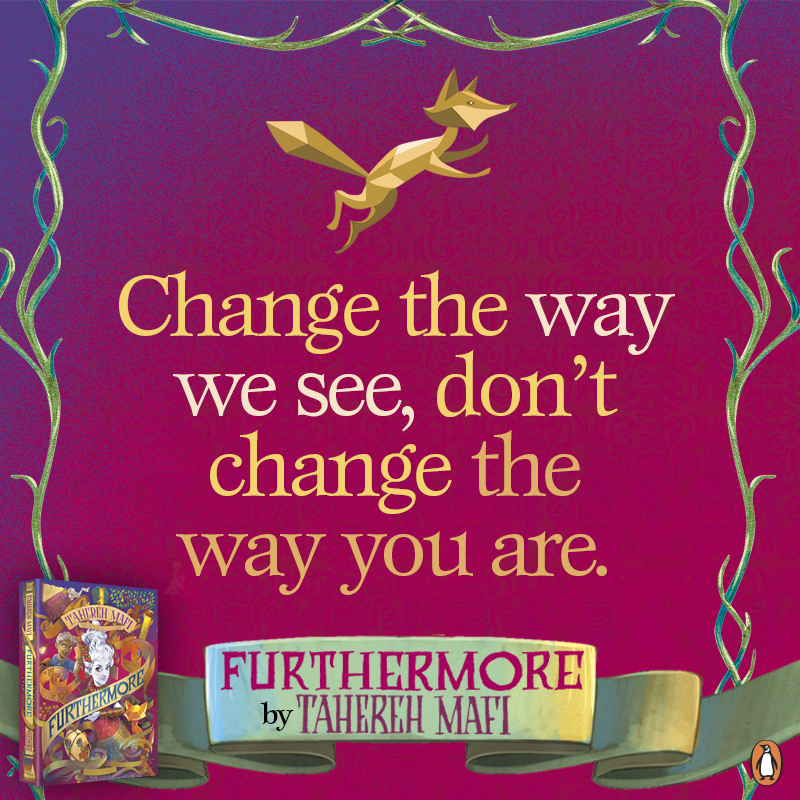 I do think Futhermore would be a good choice for readers who enjoy Wonderland-esque tales and I think some readers will very much get into Alice's adventures and the wondrous world of Furthermore. It's an engaging enough read and I think young readers will enjoy it and I think it may have some limited reader appeal-at least from my experience with the fantasy readers at my library. I just wish there had been some tighter writing and more depth to the novel. I had higher hopes for this one and while I enjoyed it, I can't say it will be memorable for long after I read it but I had fun while reading.